Oh my word, was last weekend HOT and BUSY! The hubs and I had some fun together at the Steely Dan/Steve Winwood concert last night and we also celebrated my youngest’ 18th birthday. 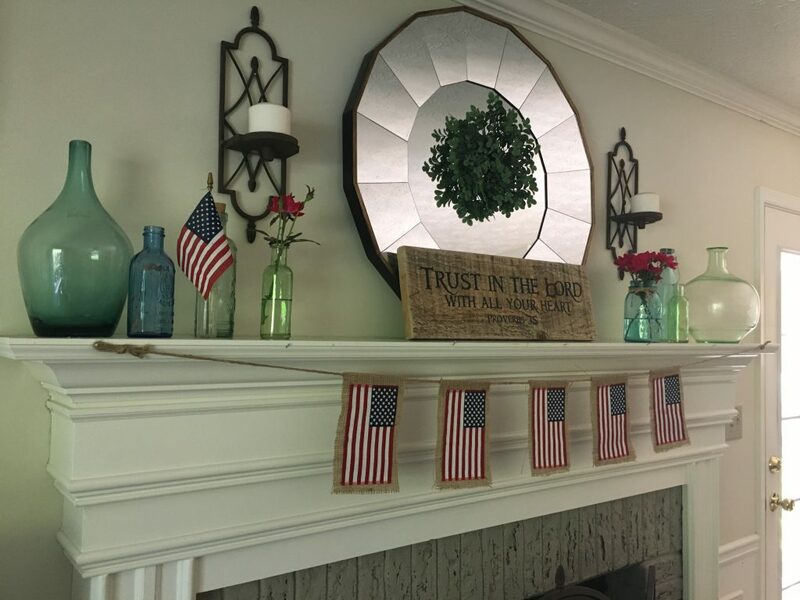 #howdidthathappen We did make some progress on the front porch, but it’s not quite ready to share… we ended up in the air conditioning instead. 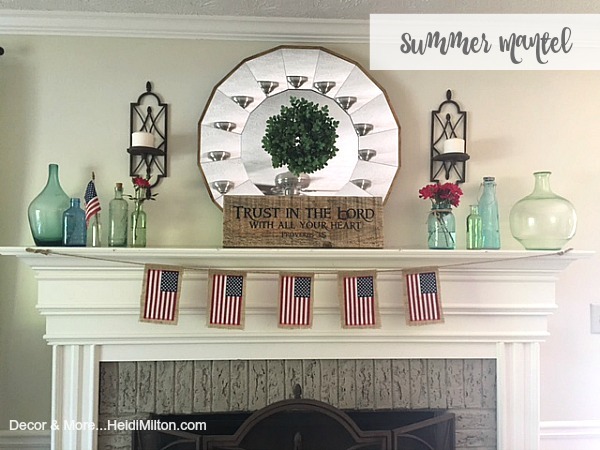 😉 So I freshened up our mantel for summertime and thought I’d share that today. 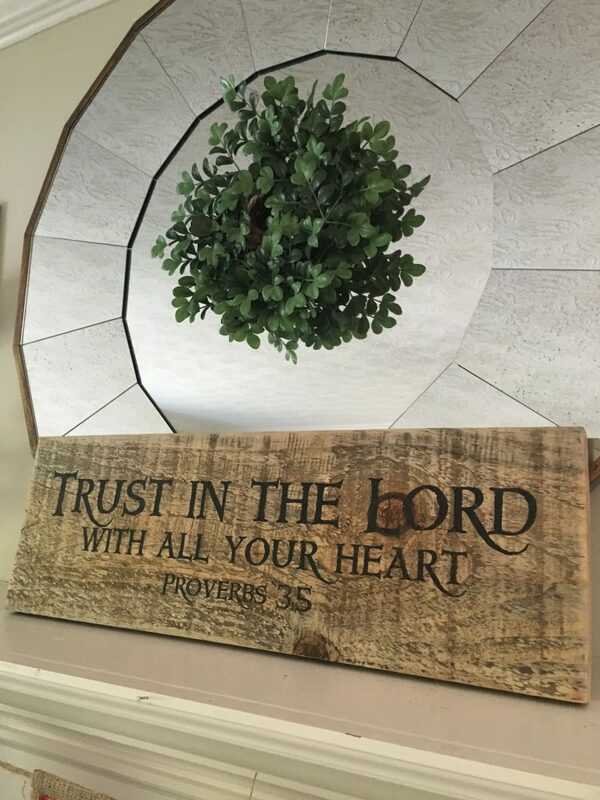 A sweet friend gave me the Proverbs plaque recently and I love the rustic touch it brings. 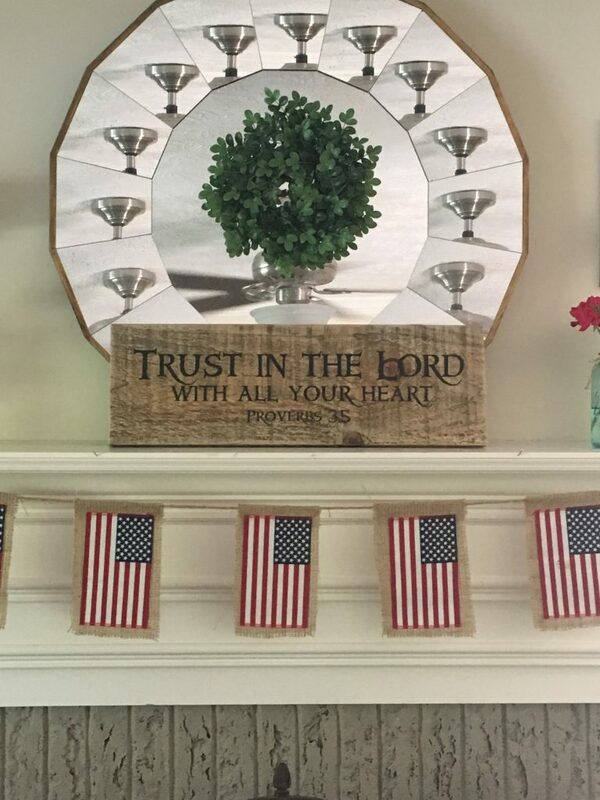 I switched out the twig cross for a faux boxwood mini wreath — loving the pop of green! 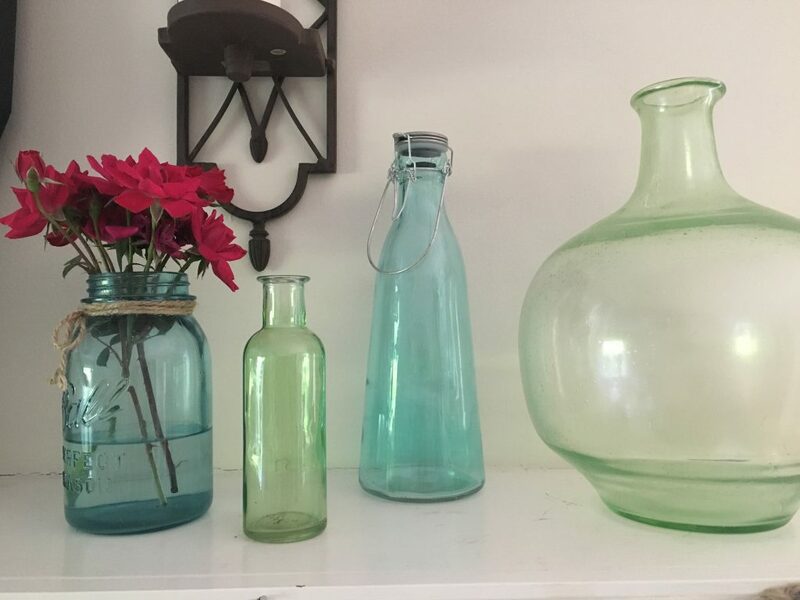 I’ve accumulated some neat blue and green glass bottles over the last few years so I decided to group them on either end. 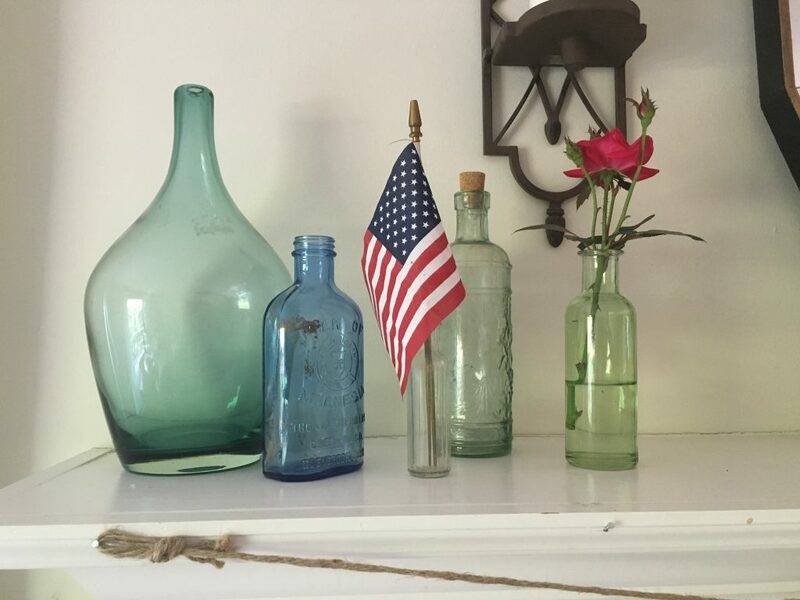 I clipped some roses from my knock out rose bushes… I try not to spend money on flowers if I don’t have to! 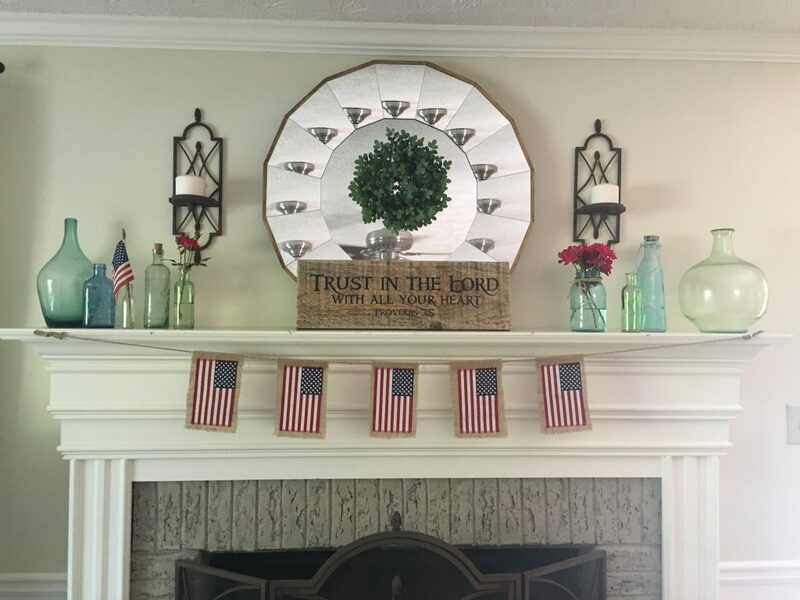 And of course, with the 4th of July approaching, I left up my burlap flag bunting and added an extra flag in a teeny vintage bud vase. 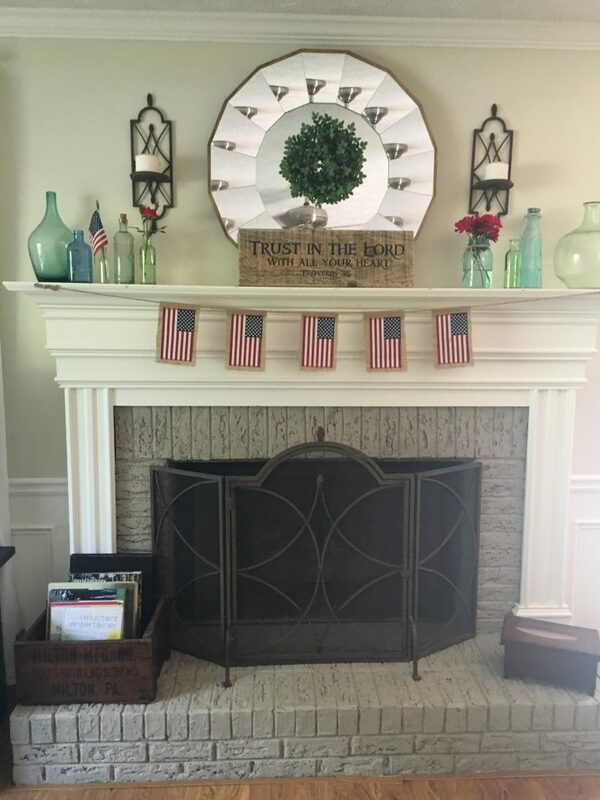 We’ll be enjoying this over the next couple of months… simple and sweet with some different textures! Sorry for the glare on the right side of these pics… it was a sunny morning when I photographed it! 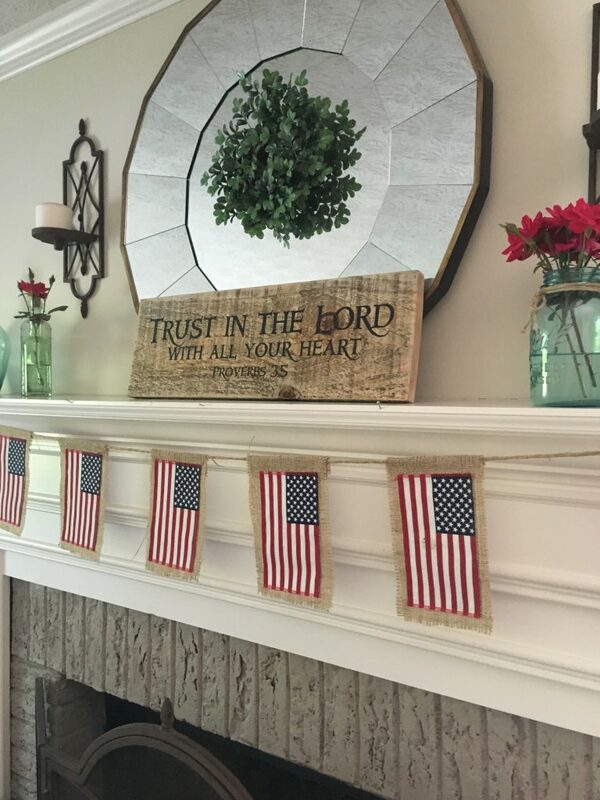 For the tutorial of the DIY burlap flag bunting click HERE. I’m planning to get the porch progress share-worthy later today so stay tuned! Enjoy your Monday everyone!